With Facebook to go to market this spring and having just arranged $8 billion in financing, we have a look at how it applies to cruising. Many cruise lines have opened Facebook pages, so we examine the results of a recent Amadeus/CLIA study of social media in the world of cruising. We also have a look at something that is keeping a lot of shipyards busy these days, the latest trend in mid-life refits for cruise ships that were built in the 1990s and early 2000s. And on Friday, Carnival Corp & PLC released its latest quarterly results. While this was the period that included the loss of the Costa Concordia, its biggest expense was a $173 million write-down against goodwill for its Spanish brand Iberocruceros (which is run by Costa). It has recently become clear that, even if you’re an enthusiastic optimist, Facebook is probably no way to sell a cruise, at least one that is not a kiddy cruise. Despite all the talk about social media, when it comes to the marketing and selling of cruises, it seems pretty clear that while many other media work, Facebook should be left out of the equation, at least for now. The main reason? Facebook is for kids. And with all its “likes” and “friends” it is clumsy and un-businesslike. Backing up these claims are the findings of a recent joint enquiry by Amadeus, the reservations people, and the Cruise Lines International Association into the use of social media by those selling cruises. Its title, “From Likes to Leads” seems only to go as far as developing leads and not actually landing customers. Perhaps most revealing was the fact that while 73% of Facebook users are below the age of thirty-five (47% are below twenty-five), 91% of cruisers are thirty-five and above. Not much of an overlap there then. Even in the single age group where there is an overlap, from 35 to 44, this group accounted for only 15% of Facebook users and 17% of cruisers, so hardly a rich market. And by the time the average age of Facebook users does go up (if it does) the whole ethos of Facebook will probably have changed. 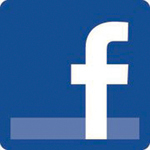 Many of its users are today wary of how Facebook handles their privacy while others are just getting bored of it. Looking at cruise lines that had Facebook pages on May 3, 2011, 81% of the “likes”, (people who look favourably on a certain product can click on line that they “like” it) are attributed to only four lines – Carnival Cruise Lines (724,000), Disney Cruise Line (535,000), Royal Caribbean International (298,000) and Princess (260,000). It is striking that the top three “most liked” cruise lines, accounting for 70% of the “likes,” are known for the number of children they carry. The remaining fifteen lines attracted only 425,000 “likes” among them, 19% of the total, for an average of 28,300 each. Among the more upmarket lines, Oceania had 11,813 “likes,” Crystal Cruises 6,863, Azamara Club Cruises 3,367 and Regent Seven Seas only 2,935. And among the upper premium lines, Celebrity had 107,299 “likes” and Holland America 105,079. The conclusion is obvious. While Facebook activity stays hidden behind walls, specific blog entries on programs such as WordPress often find high rankings in Google searches. So unless you want to attract kids, stick to interactive web sites, blogs, forums, groups, e-mail blasts and forms of social media that are more businesslike than Facebook, whose capabilities as a business tool have been vastly overstated. Last week, we reported that Rhapsody of the Seas was at Sembawang Shipyard in Singapore for a $54 million mid-life refit, and that Minerva and Costa neoRomantica had re-emerged from theirs. In the case of Costa neoRomantica, which also received major structural modifications, the bill came to €90 million (about $118 million). These refits usually involve tens of millions in investment per ship and many weeks in drydock to achieve them. Sometimes there are external signs of the changes, as when balconies and new decks are added, sometimes all the changes are internal as in the “Solsticization” projects at Celebrity. Costing $155 million, somewhat like the Costa neoRomantica, Carnival Sunshine will get an extra deck and two new deck extensions as well as new staterooms (182 compared to neoRomantica’s 111), but unlike the neoRomantica she will not need saddlebag balconies as the Destiny class have their lifeboats installed at a lower level. 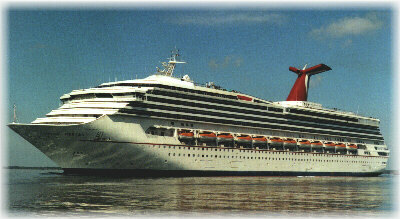 In April 2013, the “new” 3.006-berth Carnival Sunshine will enter cruise service in the Mediterranean, departing in October for a new base at New Orleans, where she will replace the 2,974-berth Carnival Conquest. The Conquest was the first ship to be built with the extra deck that Carnival Sunshine will now have and Costa’s Costa Concordia class are sister ships. This investment is part of the $500 million FunShip 2.0 program, which also includes more modest updates to the Carnival Liberty last year and Carnival Glory and Conquest later this year. Features found on the line’s newest ships, including Guy’s Burger Joint, the Blue Iguana Tequila Bar, Fahrenheit 555 extra-tariff steak house, Italian Cucina del Capitano, Red Frog Pub, EA Sports Bar and Hasbro Game Show will be incorporated into the new design, as will a casual dining option in the Lido restaurant, a coffee bar, the Havana Bar Cuban lounge with Latin music and a Sunshine Bar in the atrium. Interiors will be by PartnerShip Design. The best-known recent example of this type of work is the $140 million “Solsticization” of Celebrity Cruises’ four Millennium class ships, with the first upgrade completed on the Celebrity Constellation in 2010. 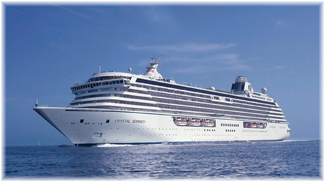 Averaging $35 million per ship, Celebrity Infinity completed Solsticization in December 2011, Celebrity Summit last month, and Celebrity Millennium will complete the project when she emerges from the Grand Bahamas Shipyard in May. The Summit, redelivered last month, received Aqua Class veranda staterooms with access to a new Mediterranean-themed restaurant, Blu. Also added was Qsine, the specialty restaurant that debuted on Celebrity Eclipse. Also new to Summit is the Celebrity iLounge, where passengers can buy the latest Apple products, and the line’s famous Martini Bar, complete with frosted countertop, plus Cellar Masters wine bar where patrons can buy wines by the glass. Cafe al Bacio and Gelateria have been added, along with a creperie, Bistro on Five. Suites have gained verandas, new furniture and more sumptuous appointments. 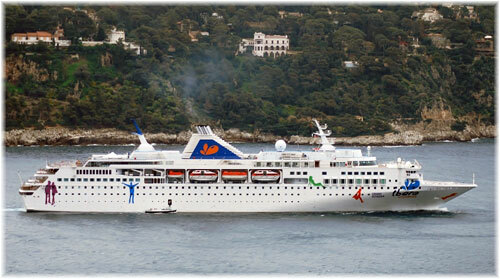 Extra ocean-view and inside staterooms have also been added, and all accommodations have been outfitted with fresh carpet, upholstery and bedding, as well as flat-screen televisions. Finally, last week we mentioned the Rhapsody of the Seas going to Sembawang for a $54 million makeover (see last week for the actual updates) as part of Royal Caribbean’s $300 million Royal Advantage program. Radiance and Splendour of the Seas were completed last year and after Rhapsody, they will be joined by the Grandeur and Serenade of the Seas this May and November. And it’s not just the mainstream lines. Crystal Cruises has spent well in excess of $50 million recently on upgrading its soon-to-be-all-inclusive Crystal Serenity and Crystal Symphony. Indeed, while new orders for cruise ships may have slowed down since the onset of the recession there is a very good market for shipyards to be updating cruise ships that are now ten and fifteen years old in order to bring them into line with their newer sisters. On Friday, for the quarter ended February 29, 2012, Carnival Corp & PLC reported a net loss of $139 million, compared to a profit of $152 million in the same period last year. The company also lowered its earnings expectations for the year, largely due to the loss of the 3,000-berth Costa Concordia on January 13. 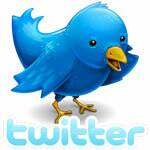 Revenues for the first quarter of 2012 increased to $3.6 billion from $3.4 billion in 2011. Bottom line, however, Carnival stated that as a result of the Costa Concordia tragedy and the incident that followed in February on the Costa Allegra, it had cut its profit forecast for 2012 by about $900 million, or 40%. Carnival coo Howard Frank told Wall Street analysts last week that Costa bookings had plunged 80% to 90% in the first four weeks after the Concordia tragedy and remained down by 40% to 50% in the three weeks that followed. This is a far more significant drop than reports that had previously been circulating that Costa bookings were down by “more than a third,” but is probably what should be expected. In the meantime, Costa Concordia has been declared a constructive total loss, meaning the cost of her salvage will be more than her value. But despite the musings of so-called brand experts who said that Costa would have to change its brand after the fire that followed on Costa Allegra, Carnival ceo Micky Arison commented “We have every faith in the Costa brand and the excellent reputation Costa’s management team has built for the organisation, which has a deep-rooted Italian heritage spanning more than 60 years.” Carnival will also receive a $515 million insurance payout on the loss. Despite all the bad news about Costa, the biggest reason for the last quarter’s loss was actually a write-down of $173 million against the goodwill and trademark value of Costa-controlled Iberocruceros, which has been suffering from the economic woes in Spain. 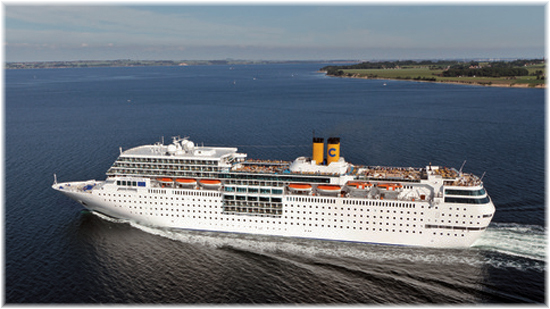 The Iberocruceros fleet was reduced from four ships to three in December when Grand Voyager was transferred to Costa as Costa Voyager. Costa Concordia-related expenses totalled $29 million, including a $10 million insurance deductible related to third-party personal injury liability. Also in the Carnival filing is a statement that Costa does not expect the 820-berth Costa Allegra to re-enter service after her fire, with expected repair costs being more than they are willing to pay. She will be sold, either for further trading or for scrapping. After being towed into Mahe on March 1 to disembark her passengers she left port under her own power on March 10, bound for Savona. The 840-berth Costa Voyager will undertake her program of Indian Ocean cruises, with her own Red Sea cruises being cancelled. For North American brands, Europe is now the weakest market, while the Caribbean and Alaska are doing well, the opposite of just a few years ago. It is also reported that Carnival Cruise Lines is performing stronger than its “premium” brands that have more exposure in Europe. While the publicity resulting from the Costa Concordia tragedy will continue for some time as the wreck is salvaged and hearings and court cases carry on, Costa is also expecting delivery of its latest ship next month. 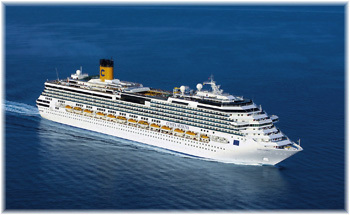 The Costa Fascinosa, fifth member of the Concordia class, completing at Fincantieri’s Marghera shipyard in Venice, is due to sail from Venice on May 2 for christening in Savona on May 6 and then return to Venice to make her maiden voyage on May 11. The new ship’s interiors, by Joe Farcus, are derived from epic movies, featuring “celebrities, movie stars and exotic places synonymous with allure and seduction” and will include, among other things, a “Gone With the Wind” themed lido area. 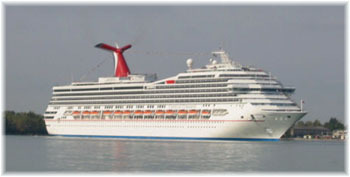 Costa Serena (2007), Costa Pacifica (2009) and Costa Favolosa (2011) are the other members of this class, a development of the Carnival Conquest class.